Dr. Beck is Clinical Assistant Professor in the Department of Health Behavior and Health Education. She serves as Director of the Behavioral Health Workforce Research Center and the Michigan Public Health Training Center. She has held research and administrative roles for several UMSPH programs since 2005. Prior to her appointment at UMSPH, she served as a Public Health Fellow at the Health Resources and Services Administration, where she worked with the national network of public health training centers. Her research interests include workforce planning, organizational performance, and delivery of public health and behavioral health services to the population. She has served as Assistant Dean for Student Engagement and Practice since 2017 and chairs the school’s accreditation efforts. Dr. Grazier is the Richard Carl Jelinek Professor and Chair of the University of Michigan Department of Health Management and Policy, and Professor in the Department of Psychiatry at the University of Michigan Medical School. 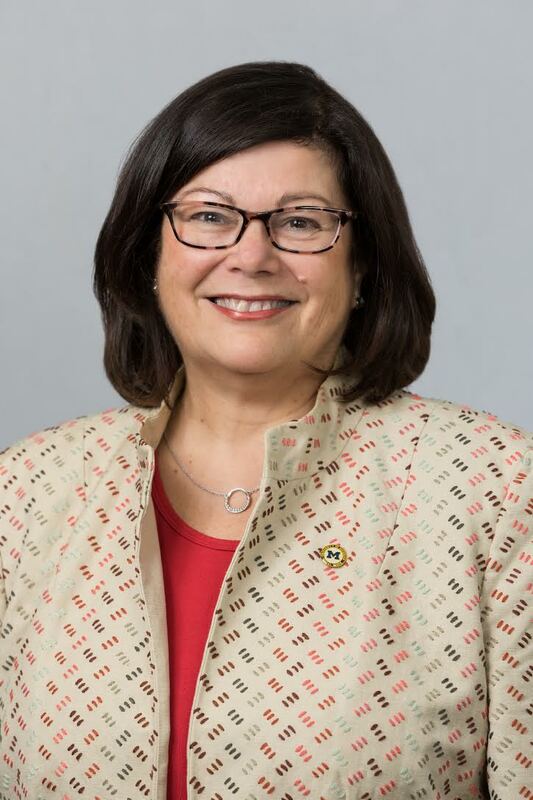 She serves on the Steering Committee of the UM Comprehensive Depression Center, and the leadership group of the Institute for Health Policy and Innovation (IHPI). Dr. Grazier has served on the Specialty Services Research Review Committee for the National Institute of Mental Health, and has been a member of grants review committees for AHRQ, NIMH, NIAAA, CMS, RWJF and other foundations. Dr. Haffajee is an Assistant Professor in the Department of Health Management and Policy at the University of Michigan School of Public Health. Formerly a practicing health care attorney, Dr. Haffajee combines detailed legal analyses with empirical investigations of the relationships between laws and health. She focuses on the ways in which laws and policies facilitate or serve as barriers to patient access to quality health care and improved population health outcomes. She substantively focuses on evaluating behavioral health interventions, such as mental health and substance abuse parity as well as prescription opioid misuse prevention and treatment policies. Dr. Boulton is an active public health workforce researcher and serves as Director of the University of Michigan Center of Excellence in Public Health Workforce Studies. He is Professor of Epidemiology, Health Management and Policy, and Preventive Medicine at the University of Michigan School of Public Health, and Professor of Internal Medicine in the Infectious Disease Division at the University of Michigan Medical Center. He currently serves as the first Senior Associate Dean for Global Public Health at the School of Public Health and Director, Office of Global Public Health, and is the Editor-in-Chief of the American Journal of Preventive Medicine. Before coming to the University of Michigan, Dr. Boulton worked for many years in public health practice first as a local health department Medical Director and later as the governor’s Chief Medical Executive and State Epidemiologist where he was the lead physician/epidemiologist at the state health department with oversight responsibility for all state communicable disease surveillance and control, immunization programs, environmental health, vital records and health statistics, Medicaid, substance abuse, mental health, and services to the aging. Dr. Boulton’s research interests are in global public health especially in China and India, infectious disease epidemiology, vaccine preventable diseases and immunization coverage, immunization information systems, public health practice, and the public health workforce. Dr. King is an Assistant Professor in the Department of Health Behavior and Health Education at the University of Michigan School of Public Health. Her main research interests include HIV/AIDS, substance use, gender-based violence and access to health services. She uses qualitative inquiry and mixed methods approaches to examine access to HIV testing and treatment services for women in Russia. Dr. King has led trainings and provided technical assistance on qualitative research projects in the United States and a variety of international settings. Dr. Videka is the Dean, and Carol T. Mowbray Collegiate Professor of Social Work, at the University of Michigan School of Social Work. Her research and teaching focus on families served by the child welfare system and persons with serious mental health disabilities, and also include peer-helping models for people facing life crises, the effectiveness of social work practice, and prevention services. Dr. Videka’s various research endeavors are funded by institutions such as the Health Resources and Services Administration, the U.S. Children’s Bureau, the National Institutes of Mental Health, and the New York State Office of Children and Family Services. Jessie is a 2012 graduate of University of Michigan School of Public Health and School of Education where she applied her dual degrees to study the way schools can help decrease health and education disparities by building sustainable, empowered communities. She has gained public health and education experience as a teacher, community health educator, advocate, and program evaluation manager in Washington, D.C., Chicago, Ann Arbor, Detroit, and New York City. Her research interests include obesity prevention, food justice, and addressing chronic disease and mental health inequities in underserved communities. Amanda is a PhD student in the Health Management and Policy Department at the University of Michigan School of Public Health. Amanda combines political science and health services research methods to evaluate behavioral health policies. She focuses on national and local policies related to insurance equity, opioid misuse, and the behavioral health workforce. Previously, Amanda worked as the Policy Advisor at the Kennedy Forum and the Thomas Scattergood Behavioral Health Foundation and as the Senior Researcher on Patrick Kennedy and Stephen Fried’s A Common Struggle. Maria is a Master of Public Health Candidate in the Health Behavior & Health Education department at the University of Michigan School of Public Health and a graduate of the University of North Carolina at Chapel Hill. 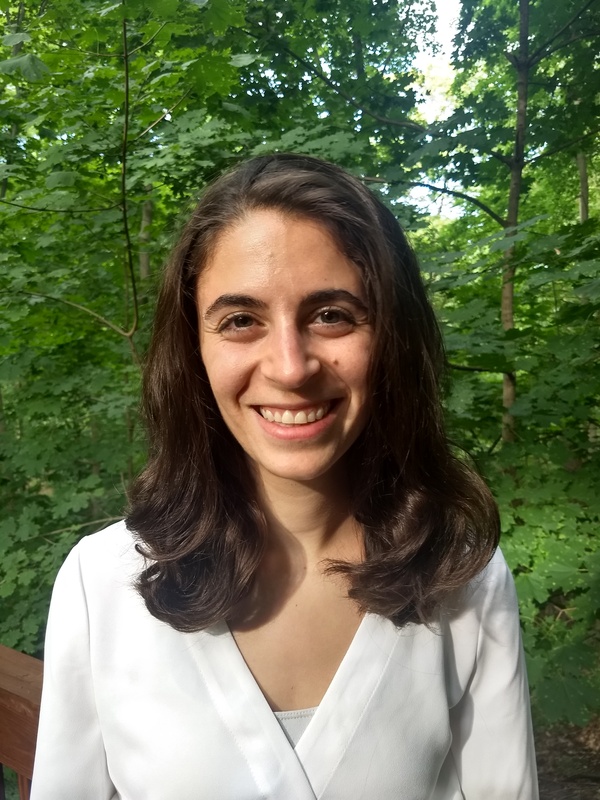 Maria’s professional experience includes cross-disciplinary training on addressing health disparities created by social, political, and physical factors through mixed-methods research. Her research interests include chronic disease prevention, social determinants of health, adolescent behavioral health and resiliency, and mental health outcome inequities in underserved communities. Cory earned an MPH/MPP dual-degree in 2017 from the University of Michigan School of Public Health and the Gerald R. Ford School of Public Policy. He aims to eliminate health disparities through a fusion of research-based policy and community engagement. His experience with policy includes non-profit advocacy work, state regulations/licensing, and first-responder services within the state of Michigan. His particular policy interests include behavioral/mental health advancement in the United States, health outcome disparities in impoverished communities, and prevention services. Kristin earned a BS in Psychology from Wayne State University and is currently a masters student at the University of Michigan, Flint where she is studying Applied Communications. 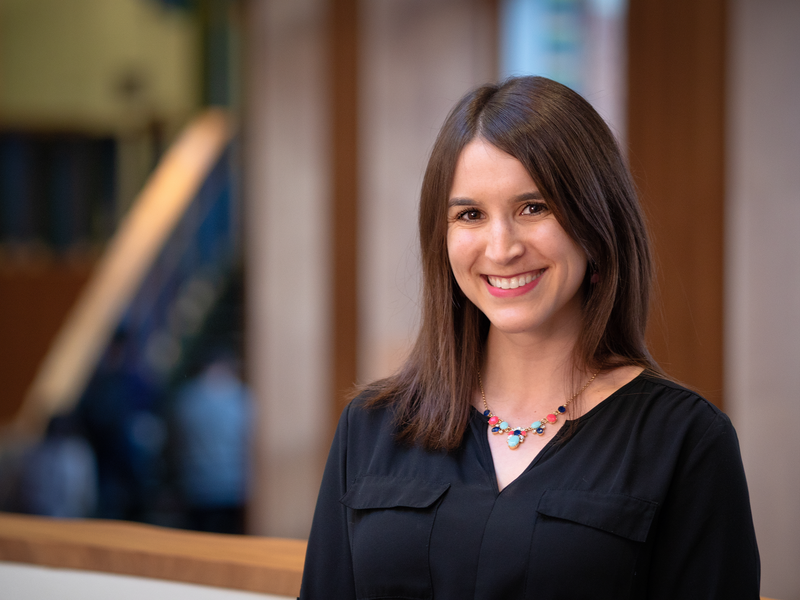 Kristin has worked at the School of Public Health at the University of Michigan since 2015, and has expertise in marketing, communications, and community outreach, specializing in the area of workforce development.